WHY LIVE IN THE METROWEST AREA? - Dora Naves & Associates, Inc.
WHY LIVE IN THE METROWEST AREA? MetroWest is a world leader in research and development that offers well-preserved history and unspoiled sanctuaries. This is where high tech meets low stress. The result? 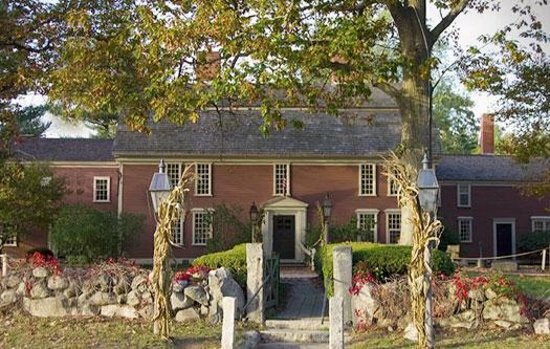 The best of both worlds, just a 20- to 40-minute drive from Boston or Worcester. As the home to Fortune 500 companies and world-class technology enterprises, MetroWest is the economic engine of Massachusetts. Our communities of MetroWest offer all the sophisticated amenities and services you’d expect: fine dining, superior conference and hotel facilities, spas and other personal services, and the Golden Triangle of retail featuring the Natick Collection, New England’s largest enclosed mall with high-fashion stores available nowhere else in the state outside of Boston. MetroWest offers all of that without the stress of an urban setting. With major arteries crisscrossing the region, you’re never far from anything. We have retreats for your business, visitors, and family: nature trails, kayaking, botanic gardens, wildlife sanctuaries, state parks with beaches and recreation in all seasons. For a slower pace, stay at a charming B&B or stroll quaint streets surrounding our town commons. Whether you’re looking for the oldest or the newest, MetroWest has more to explore: the oldest continually operating inn in America and the most advanced technologies, the oldest species of native plants and the latest designer fashions, historic homes dating back to the Salem witch trials and the Space Age McAuliffe Center, thousands of acres of preserved land and the most modern performance facilities. Focused on the future and keeping alive the past, MetroWest offers more for you to explore. We invite you to come and enjoy the best of both worlds. Visit http://www.metrowestvisitors.org/ for more information!